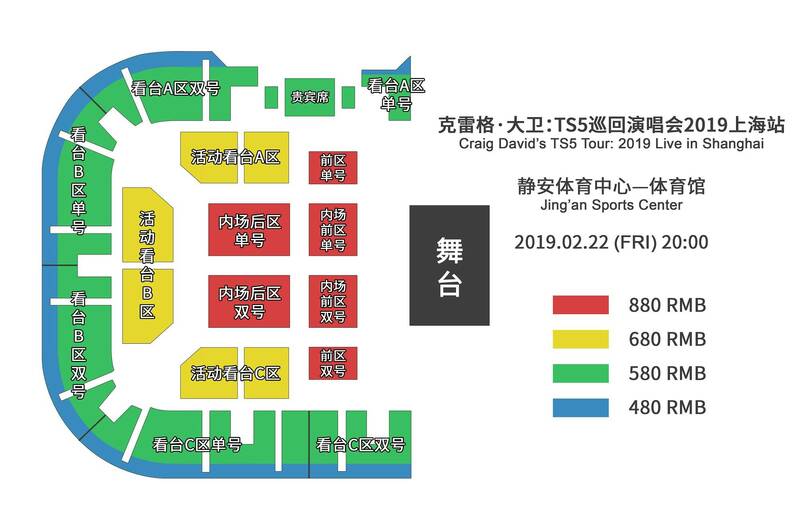 The multi Grammy-nominated U.K. pop star Craig David will bring his TS5 Tour to Shanghai on 22 February, 2019 at Jing'an Sports Center. He has sold 15 million albums worldwide and his single ‘7 Days’ was in Top 10 Billboard. 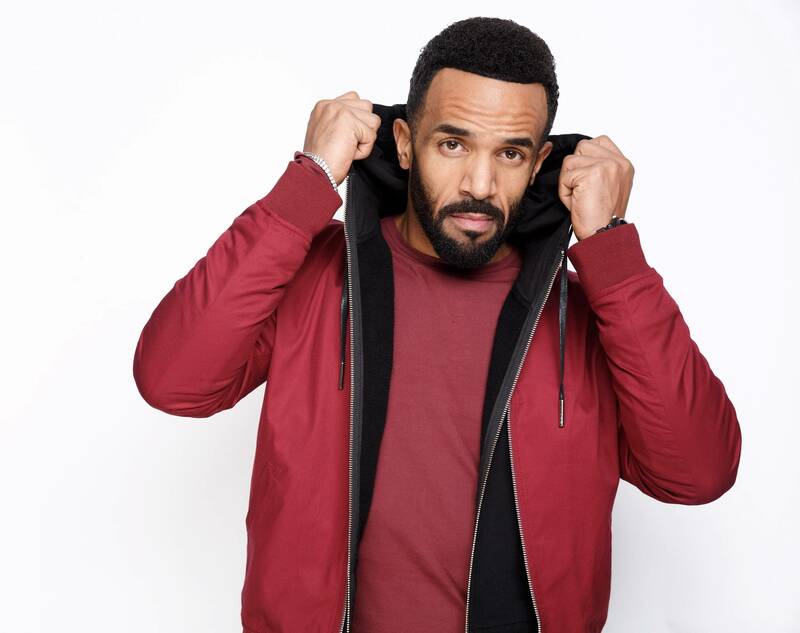 In 2016 his latest album, ‘Following My Intuition’ stormed straight to the top spot in the UK Official Albums Chart, and was in the top 10 chart in over 30 countries. A headline UK arena tour followed and sold-out in seconds. With 4.5 million single sales and 290 million single streams in the last year alone – this is the most talked about return to music in decades! He returns this summer to the iconic Ibiza Rocks for another landmark 12-week residency with his world-renowned DJ show TS5. 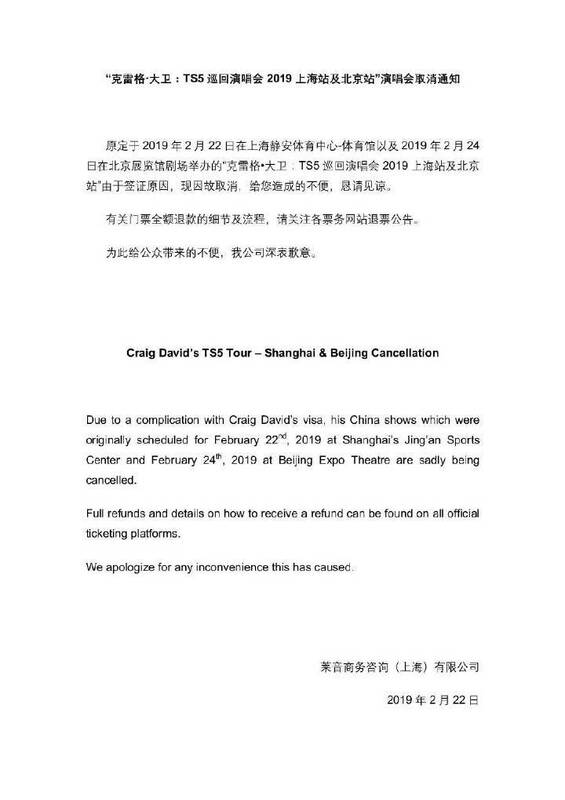 In the US this year, Craig brought TS5 to huge sold out shows across the country including New York, Los Angeles, Washington, San Francisco and Toronto as the TS5 movement continues to catch fire.